Unisex Possum Merino Knit Hat with Pompom - Apres Ski Must! A great pull on beanie that is toastie warm in fluffy possum merino chunky yarn. This hat is knitted by a hand knitting machine and is great for walks in Winter, après ski gear or catching the tube. The yarn is specially formulated to contain 40% possum fur (the highest we can go! ), 50% merino and 10% nylon for that extra bit of strength. 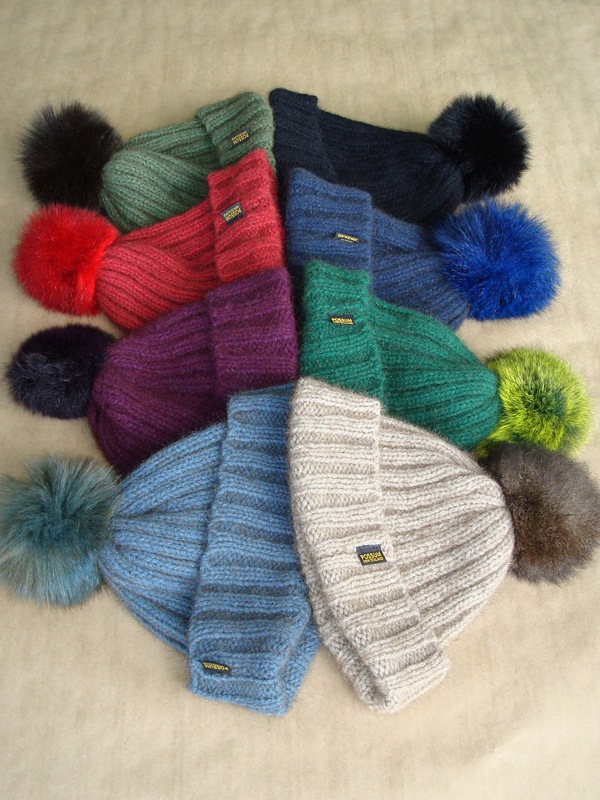 (A big fat pompom in co-ordinating possum fur adds a bit of glam to your winter’s day) Choose from 8 different colours. These hats are a limited run and are well priced to sell. Great for guys and gals.